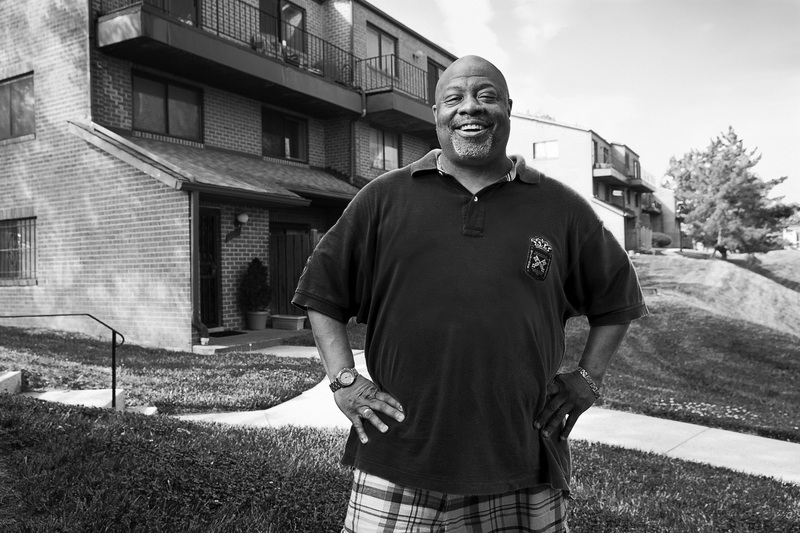 Douglas Coleman is convinced that he would have lost his Northeast DC home but for Legal Aid. He had fallen behind on his mortgage after a series of hardships, including having to resign from his job of more than two decades with the federal government in order to take care of his ill father. When he was eventually able to work again, he went into overdrive trying to make ends meet—working at a food truck by day, a hospital by night, and several other part-time jobs. But by then, getting back on track with his mortgage—a subprime loan originated at the height of the housing boom—seemed impossible. The mortgage company had sued him for foreclosure in DC Superior Court and was poised to get a judgment on the day he met Legal Aid in court. Fortunately, things started to turn around after that. With the help of new foreclosure procedures established by the Court and representation by an experienced Legal Aid advocate, Mr. Coleman was able to save his home by securing a loan modification that brought him completely current on his mortgage. And with the weight of his foreclosure case off his chest (and just in time), he was able to fly out to California to see his oldest daughter graduate from Stanford.